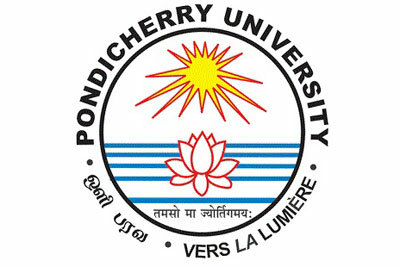 Pondicherry University is a Central University established in October, 1985 which is located at Kalapet, Puducherry and is 160 km away from Chennai along East Coast Road. The University is spread over in 820 acres of lush green land and has excellent ambience conductive for PG studies and research. The University has emerged as India’s fastest expanding Central University crossing growth mark of 300% during previous years and has about 5000 students representing 33 states of the country and abroad, and over 450 highly qualified faculty from across the country. The University is growing with a cardinal principle of Expansion with Excellence and Equity and remains connected globally. The University offers 157 Masters, Doctoral and Diploma programs in 34 Departments, 10 Centers and two chairs under the umbrella of 15 schools with a Community college and Directorate of Distance Education. Overseas students constitute about 10% of the annual intake. Students’ hostels and blocks of faculty residences are interspersed with one another, underlining the vision of a large Indian family. The University has entered into MoUs with 27 reputed international institutions in India and abroad for academic collaboration and faculty development. For more information visit www.pondiuni.edu.in.